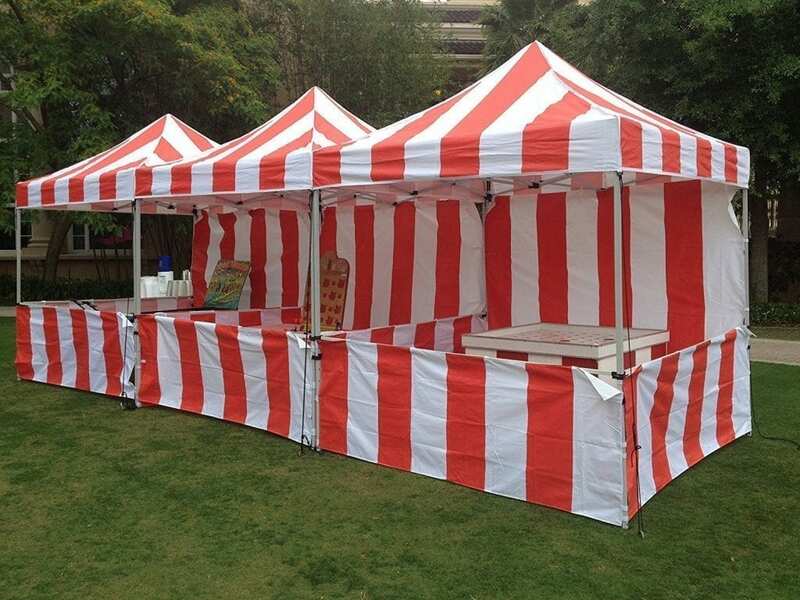 Full Carnival Tent Package features 3 Carnival Tents with a back wall on each and side rails. This package is the perfect decor item to get that carnival look. Whether you are planning a children’s event or matching a nostalgic feel to your wedding or birthday entertainment – these tents are the right choice. 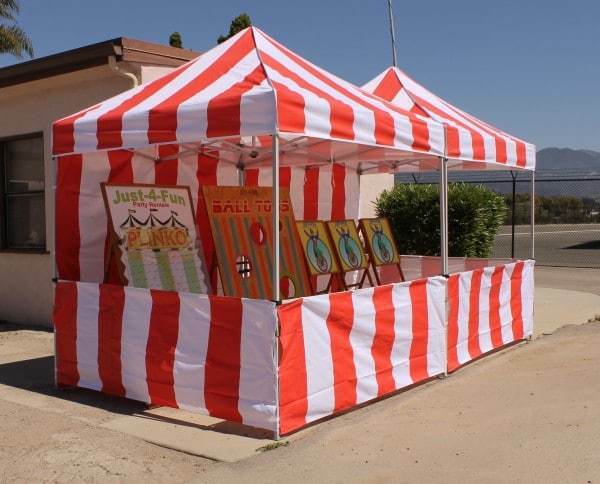 For non-profits this pop up canopy package combines quality and affordability with an easy decor solution for creating the carnival atmosphere at your next church, school or street fair event. All polyester top commercial popup tents shown on our website are water resistant which means the tops have seams that may leak in heavier rain, but the material is resistant to water. All tent tops are fire retardant, however we do not recommend placing propane heaters under these tents. For more information on this rent rental, please contact our office. *Not for use in high winds.